KYtrackXC Needs Interns, Photographers, and Videographers! The spring track season is upon us, and KYTrackXC would love to share that excitement with you in the best way we know how; by paying fans and lovers of track and cross country to do what they might already even be doing, and allowing them to share it with thousands across the state! 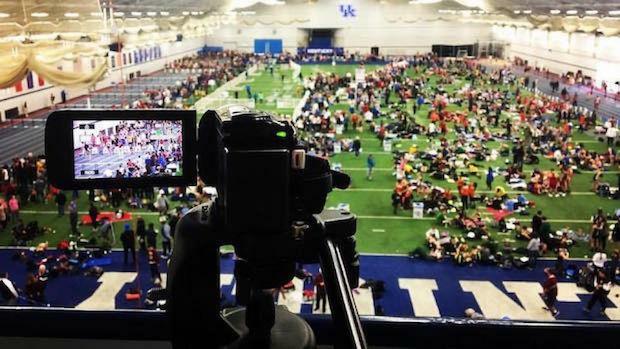 MileSplit is looking for interns, regular photographers and video contributors to help with our coverage of meets all over Kentucky. This would be a paid position by event, during which you would be responsible for getting complete coverage, photo or race video coverage of cross country and track meets (this would include filming or photographing all races at a particular meet or providing incredible content to feature on the site), along with interviews of top athletes and coaches. You would also be responsible for providing your own equipment, as well as editing and uploading the photos or video content to MileSplit.com. Please contact Chris Hawboldt at kymilesplit@gmail.com for more details. I hope to hear from you soon!